A specific gene may explain why some people in their 80s retain the memory capacity of people who are 30 or more years younger, a team of researchers has concluded in a just-published study. 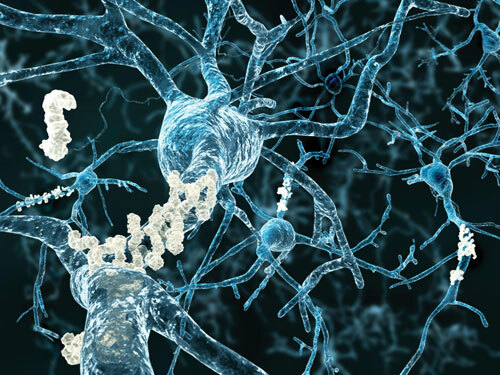 Researchers at the Translational Genomics Research Institute (TGen), an affiliate of City of Hope, and Northwestern University Feinberg School of Medicine, found that the MAP2K3 (Mitogen-Activated Protein Kinase Kinase 3) gene could prove to be a promising target for new drugs that reduce age-related memory decline—and possibly, the memory loss associated with Alzheimer’s disease. “Based on our findings, we postulate MAP2K3 inhibitors may represent a novel therapeutic strategy for enhanced cognition and resistance to AD [Alzheimer’s disease],” the researchers wrote in Associations of MAP2K3 gene variants with superior memory in SuperAgers, published yesterday in the journal Frontiers in Aging Neuroscience. Researchers sequenced the genomes of 56 SuperAgers, with the aim of searching for genetic variations. They compared the SuperAgers with a control group of 22 cognitively average individuals—those who scored within the average-for-age on episodic memory and other cognitive tests—as well as with a large group of individuals from the general population. The SuperAgers were enriched for genetic changes in the MAP2K3 gene compared to the two control groups, the investigators found. Developers have long struggled to create successful new drugs for Alzheimer’s. Only a handful of drug successes have ever reached the market, and even they have merely slowed progression of symptoms by 6 to 12 months. “This study suggests that SuperAgers may have a genetic ‘leg up’ on the normal aging population—they may have higher resistance to age-related cognitive changes—and also that this might highlight a new way to enhance memory performance,” added Matt Huentelman, Ph.D., TGen professor of neurogenomics, and the study’s lead author. The study was funded in part by the NIH, its National Institute on Aging (grant numbers R01 AG045571 and P30 AG13854), and the Davee Foundation. Tissue samples were provided by the National Cell Repository for Alzheimer’s Disease. Data collection and sharing was provided by the Alzheimer’s Disease Neuroimaging Initiative (ADNI). ADNI—which advanced to its third phase in 2016—is designed to investigate brain and fluid biomarkers that enable researchers to track progression of the disorder. The study links changes in clinical and cognitive testing with Alzheimer’s-related changes in biomarkers detected in blood, cerebrospinal fluid, and DNA samples.